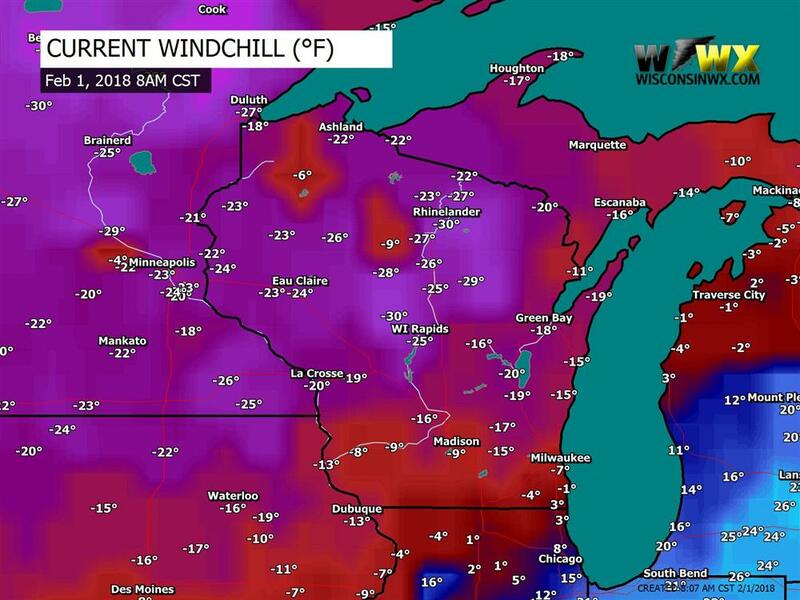 Cold morning across Wisconsin with wind chills of -20Â° to -30Â°, relatively warmer in the southeast. The National Weather Service has issued a Wind Chill Advisory in northern Wisconsin until noon today. Friday morning could be even a little bit colder and an advisory will likely be needed again. 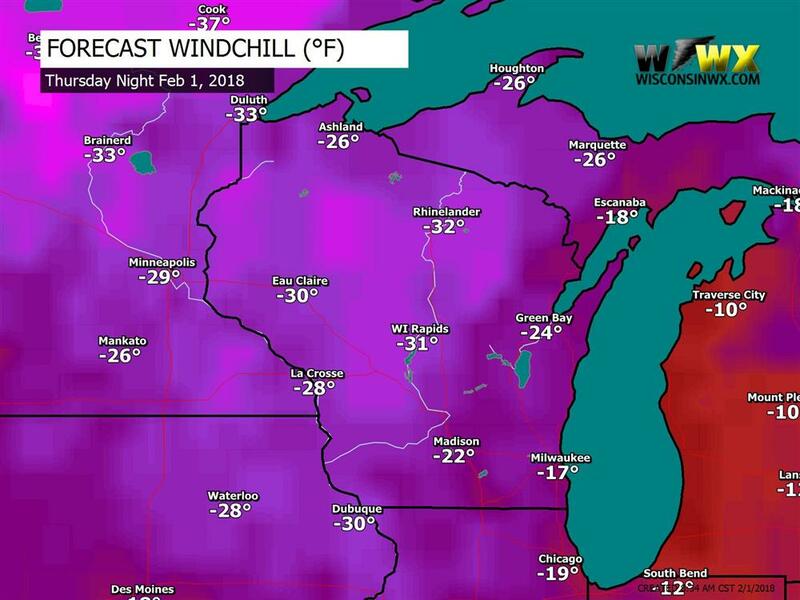 Forecast wind chill tonight into Friday morning. 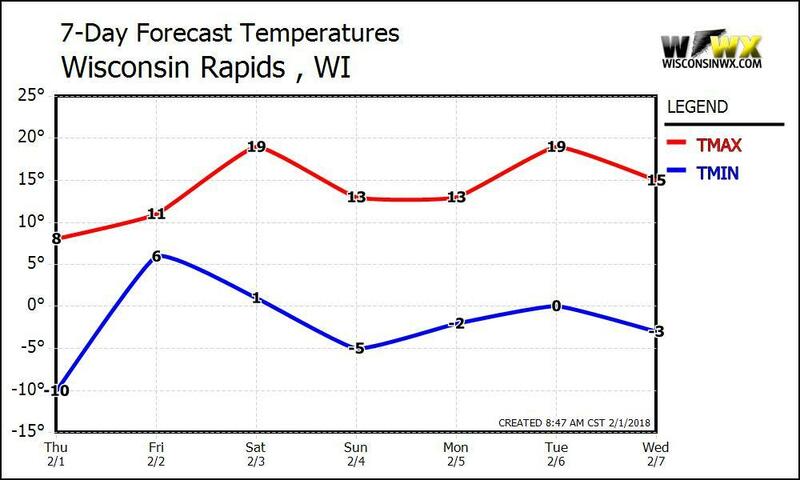 The next seven days will be colder than average, but it looks like today and Friday will be the coldest segment of the next 7 with relatively warmer temperatures and some snow expected throughout the period.